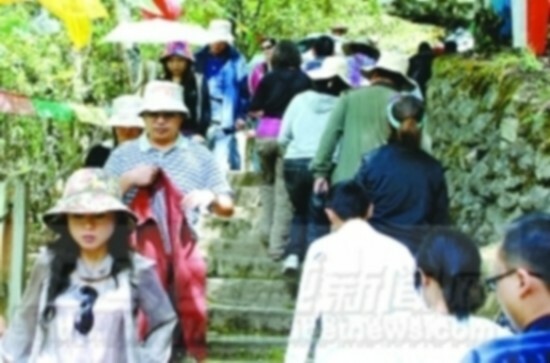 Photo shows tourists in a tourist attraction of Nyingchi Prefecture, photo from Tibet Daily. Since the beginning of this year, Nyingchi Prefecture has taken various measures to boost the ecotourism. From March to May, the number of tourists rose 30% and the total tourism income inreased 20% compared with those of last year.